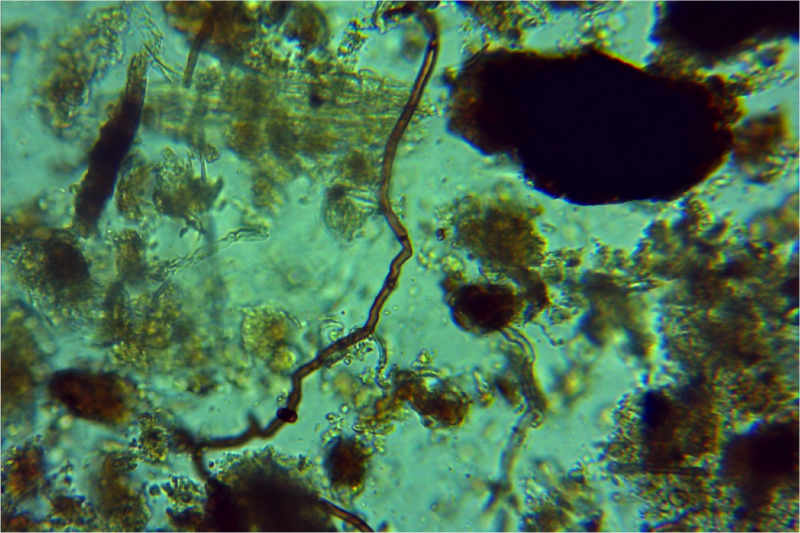 These images both show fungi strands. When looking at fungi there are a few specific factors that are important. Color: Fungi will range from clear to dark brown in color. The darker the color, the better. 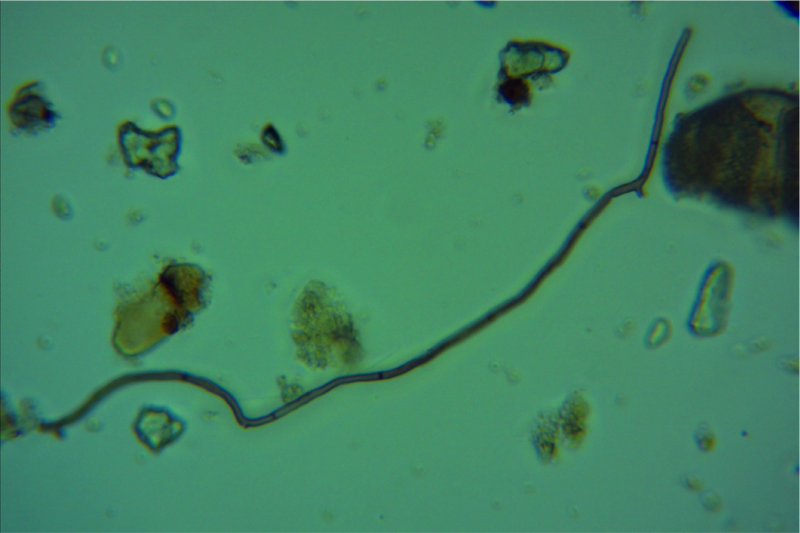 Size: Fungi strands will range from around 1 micron to 4 microns in thickness. You can measure this by assuming the smallest bacteria is 1 micron thick and comparing it to the thickness of your fungi. The thicker the fungi, the better. As for the length, the same idea as the thickness applies, longer is better. Shape: Shape is an important factor for determining if you are actually looking at a piece of fungi. Fungi will have smooth, uniform edges. Any jagged or uneven edges usually indicate you are looking at organic ma​tter and not fungi. Septa: You know you're looking at a great piece of fungi when you can make out the septa. The septa are the little black lines that go across the fungi and split it into sections. When looking at septa, you want to see even spacing between them.